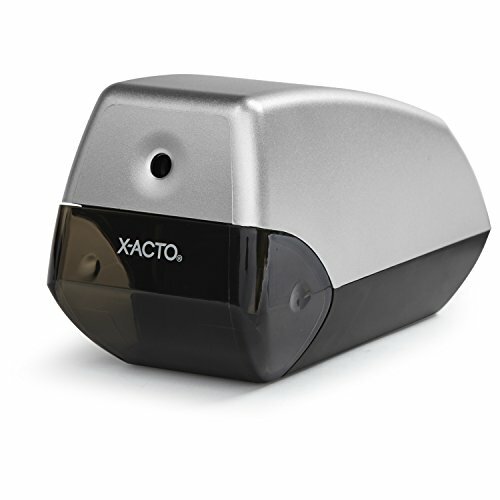 Stylish and dependable, the X-ACTO Helix Electric Pencil Sharpener delivers smart sharpening technology for your home, office, or school. This sleek sharpener utilizes a hardened helical cutter that efficiently sharpens pencils to a smooth and precise tip and a powerful yet quiet electric motor that provides reliable operation. An Auto-Reset feature prevents the motor from overheating, the SafeStart feature helps protect users, and PencilSaver technology eliminates oversharpening to extend pencil life and minimize waste.